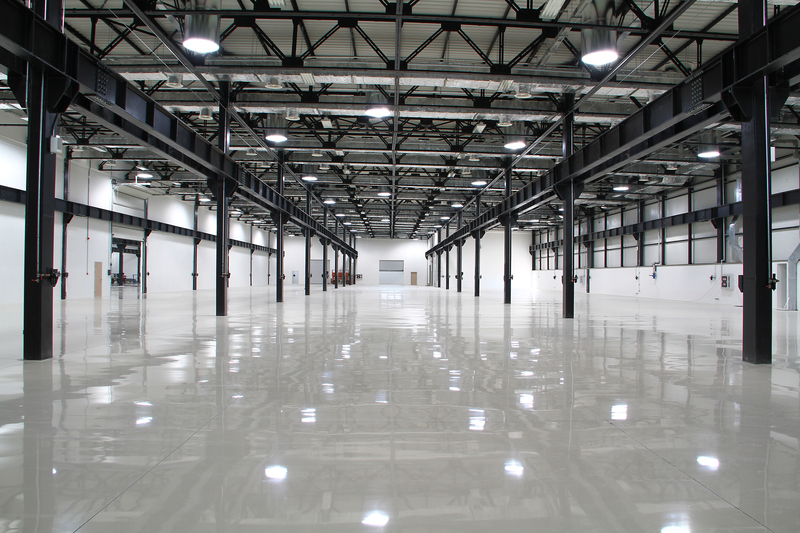 Empty and well-lit floor of a new factory. The floor is light gray and highly reflective, and the support beams and poles are black. There are different sized doors at the end of the floor.